Wine in Uzbekistan has been known from ancient times. It’s full of taste drink which also can be useful. While drinking you get pleasure and make your health stronger. Avicenna noted that red wine could improve blood circulation of the brain. Today there are many kinds of wine, which can differ in taste depended on the grade of grapes. It is considered the sunnier weather the better taste of the grapes. So Uzbek wine is famous with its sweetness and low acidity. The sweetness of grapes is 29% and it gives unique taste. 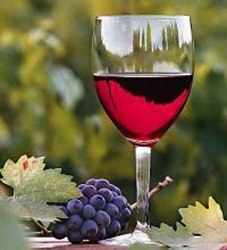 Wine making has been known in Uzbekistan from ancient times. From year to year this brunch of industry has been improving which is based on ancient recipes and traditions. Almost all regions of Uzbekistan have appropriate conditions for growing grapes. These are fruitful soil, good climate and as a result the best harvest. In spite of it each region is specialized in their own grade of the wine. The table wine is produced just in the south-western part of the country. To make this grade of wine there are special conditions – the hottest and driest summer and no precipitation at all. In Samarkand area wine is produced from the special grade of grapes – kishmish. This grade is unique – it has no seeds. In valley areas the most popular grades of wine are Muskat, Saperavi, Rkaciteli. In foothill areas of Tashkent Soyaki and Parkent pink wine are produced. Planning tour to Uzbekistan, don’t miss opportunity to taste the best Uzbek wines. Pleasant odor and unusual sweet taste will make you feel the warmness of Uzbek sun. After the first sip you will feel the sun power inside you. You can taste wine in caravanserai “Nugai” in the centre of Bukhara. While tasting, you can know many interesting things about grapes growing and their grades from winemakers. Don’t miss opportunity to visit Samarkand winery named after Khovrenko. Taste fine wine, visit excursion in the museum and learn exciting legends about this ancient brunch of industry.